When one fits with the other, suddenly everything makes sense.. .. This is what Lenka and Adam wished to express through their wedding rings, all whilst staying true to the simplicity of the design. 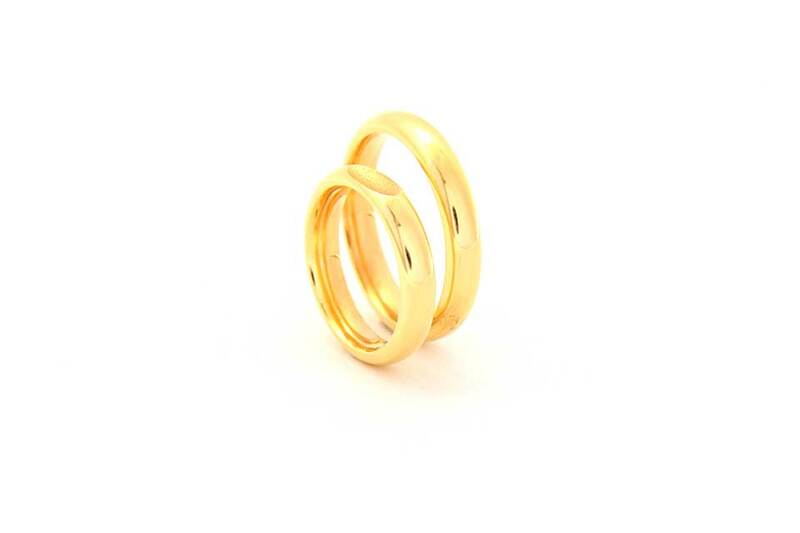 So we opted for classic yellow gold wedding bands with a half round profile and a polished finish. But her ring has a delicate textured concave detail made to exactly match the outer curvature of his ring. 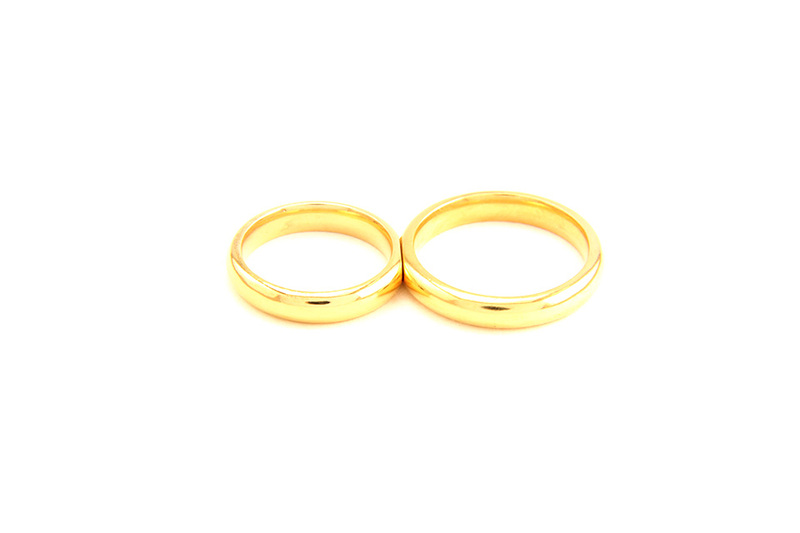 Thus, when laid down together, these at first sight quite traditional wedding rings fit together and create the perfect unity. Both bands have a ‘comfort profile’ which means that the inner profile is ever so slightly rounded, for your comfort. Thus creating timeless rings that hold romantic significance.